An AMSOIL business offers nearly unlimited opportunities, even if you work it part time. We know you are not satisfied just starting a business - you want to begin making money. You're not conent to simply dream - you want to realize your dreams. Jumping into a new business and really going for it can be a little overwhelming. We are here to help. Plus, thousands of AMSOIL dealers accross North America took the challenge to start their own AMSOIL opportunity. Through hard work and persistence, they now enjoy growing businesses and the freedom of being their own boss. We are confident that you can join in their own success. 40+ Years of Proven Success & Nothing but Growth Ahead! AMSOIL Dealer Zone: Your personalized back officeCorporate support via phone or emailAMSOIL brand clothingEasy ordering & drop shipping for Canada and U.S.
There’s no single “right” way to run your business. But successful AMSOIL Dealers have one thing in common - they started. They didn’t wait for success to happen. They made it happen. Take action today. Talk to one person about your decision to start your own business. Use the AMSOIL products that come in the Dealer kit. Experience the benefits and use it as your "AMSOIL testimony". Visualize the success you plan to achieve in the days ahead and write them down. The AMSOIL opportunity is real and significant, and all it takes to be successful is your commitment to make it so. As our Founder Al Amatuzio says, "Go ahead and be a dreamer! But do something about your dreams. Don't just let them float away." Like anything of value, building a successful business takes time and commitment. Think about why you want to start - to fund your next vacation, buy that dream car, put your kids through college - and hold that vision before you as you strive toward your goals. Although AMSOIL dealership comes as an immense opportunity, it does not require a high start up cost or complicated paper work. Setting up your dealership is very simple. You can do it online by clicking on the Dealer registration button. The best part of an AMSOIL Dealership is the freedom to sell into the markets that interest you and the flexibilty to do it on your own schedule. Do you want to spend an hour or two a week talking directly to friends and family about how AMSOIL products can help them? You can do that. Maybe you’ve always loved motorcycles and you want to focus on riders and other powersports enthusiasts. You can do that. Are you a diehard gearhead who loves classic cars and hot rods? Then spend your time attending car shows where you can approach like-minded people. Or maybe you want to focus on servicing retail or commercial businesses, like auto service garages, lanscape contractors or delivery fleets. That's an option too. It will be time to find your first customer. He or She will fall into one of the following AMSOIL programs. Steering your customers towards the program that benefits them the most is one of your most important tasks. It ensures their needs are met and cultivates loyalty. P.C.s provide the foundation of many strong AMSOIL businesses. A Preferred Customer membership is perfect for customers who simply want to pay wholesale prices for AMSOIL products. They also receive other great perks, like flat-rate shipping, occasional free AMSOIL gear and periodic product specific promotions. P.C.s pay a small annual fee. You earn commission credit on their purchases. Customers not interested in a Preferred Customer membership or want to shop for AMSOIL products online or via the Retail Catalogue are candidates for the Online/Catalogue Program. In the U.S. they receive free shipping on orders over $100. When they order using your catalogue and referral number, they automatically become your customer. You earn commission credits and retail profit on each sale. Some of your customers, particularly your P.C.s, may be interested in making extra money through their own AMSOIL Dealership. They must register as an AMSOIL Dealer like you did and pay an annual fee. You earn commission credits every time they purchase or make a sale. This program is for retail businesses that resell AMSOIL products. Reselling means either offering products on a store shelf (auto parts stores, hardware stores), or as part of a service like an oil change or transmission flush(auto service garages, quick lubes). Registering as a retail account is free of charge and offers several benefits, such as free shipping on orders over $400 CDN or $300 U.S. and a free merchandising kit. You earn commission credits and account cash commissions each time your retail accounts place an order. This program is for businesses that use AMSOIL products in their company vehicles and equipment (delivery fleets, lawn & landscape professionals), but do not resell them. There is no cost to register as a commercial account, and perks include purchase and freight discounts. You earn commission credits and account cash commissions each time your commercial accounts place an order. While not a defined program, this method of connecting customers with our products allows you to sell products to family, friends and co-workers who don't want to become Preferred Customers. You buy the products, then choose to whom you want to sell them and the price you charge. You earn commission credits and retail profit on each sale. The AMSOIL Marketing Plan is designed to help you get ahead. What you do with the money you earn is up to you. You are about to start your dealership opportunity and want to know how you will earn money. Here is how we pay. Retail Profit - You purchase AMSOIL products at wholesale pricing, resell them at retail pricing and keep the difference. We call this personal retail sales and the difference you earn is called reatil profit. You also receive retail profit on catalog and internet sales. Commission Credits - Every AMSOIL product is assigned a point value, called commission credits. You earn commission credits on every AMSOIL product you or your customers purchase. Each month, we pay you based on the amount of commission credits you have earned. Cash Commissions - The retail and commercial accounts you sign up provide a thrid way to make money. In addition to commission credits, each purchase they make earns you cash commissions that are added to your monthly commission cheque, boosting your income. Bonuses - We also provide additionals ways to earn money through bonuses based on specific activities and growth. Bonuses are designed to reward you for achieving milestones or completing activities, meaning they vary in frequency and payment. 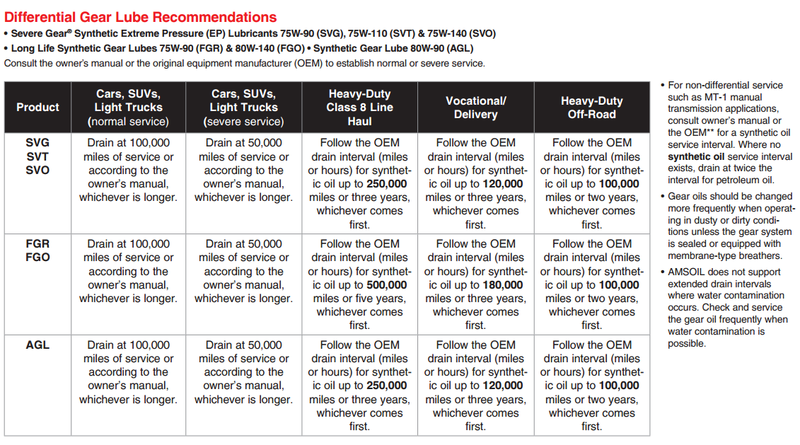 For a detailed explanation and examples of how AMSOIL pays its dealers, see the AMSOIL Income Opportunities for Dealers Brochure G-85. As a registered dealer you will have access to Profit List G3501 for commission credits and cash commissions of all AMSOIL products. The Marketing Plan – Compensation (G47B) provides full details on our marketing plan. Building Your Business (G3331) explains how you earn bonuses. Like we said, we’re here to help. One way we do that is through online and periodic face-to-face training. Set aside time every week for training using the resources we make available to you. Commit to your development, be intentional about your growth and set realistic goals. Immerse yourself in sales, technical and marketing training, business-building strategies and more. Learn at your own pace, on your own schedule. Enroll in the Dealer Zone. The Knowledgebase, located in the Dealer Zone, provides a user friendly and efficient way to access and search for information. It offers answers to frequently asked questions, detailed procedures, tutorials, user’s manuals, articles and other helpful information. Home Study guides provide a convenient way to learn the fundamentals of lubrication, filtration, and other important areas within the industry. Dealer Sales Briefs identify target markets and prospects for specific products and provide guidelines for increasing sales. They are excellent resources for gaining valuable product and market knowledge with a minimal time investment. You don’t need to be a technical expert to sell AMSOIL products. Tell prospects about the benefits AMSOIL products have provided you or your customers. Offer simple technical explanations if needed. Use the technical resources we make available or direct them to contact AMSOIL Tech Services with detailed questions. Every AMSOIL product has a data bulletin that descibes its features and benefits, technical properties, recommended applications and more. 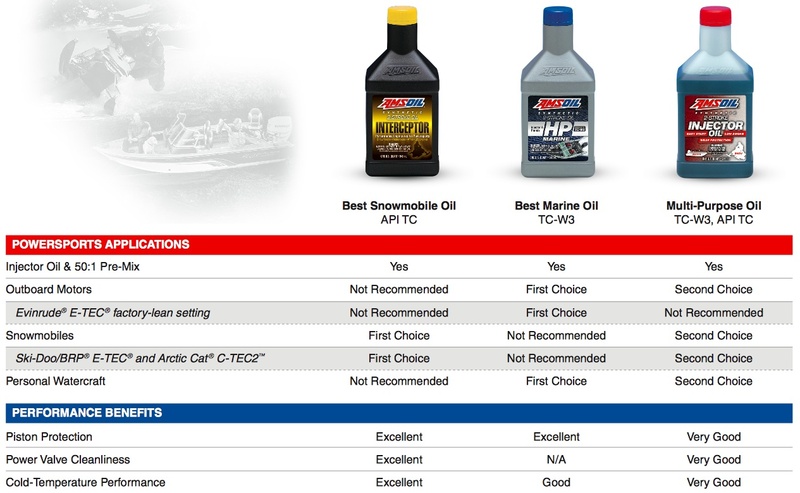 The products guides are the easiest and fastest way to determine which AMSOIL products are recommeneded for your customers' vehicles. In many cases they include fluid capacities too. 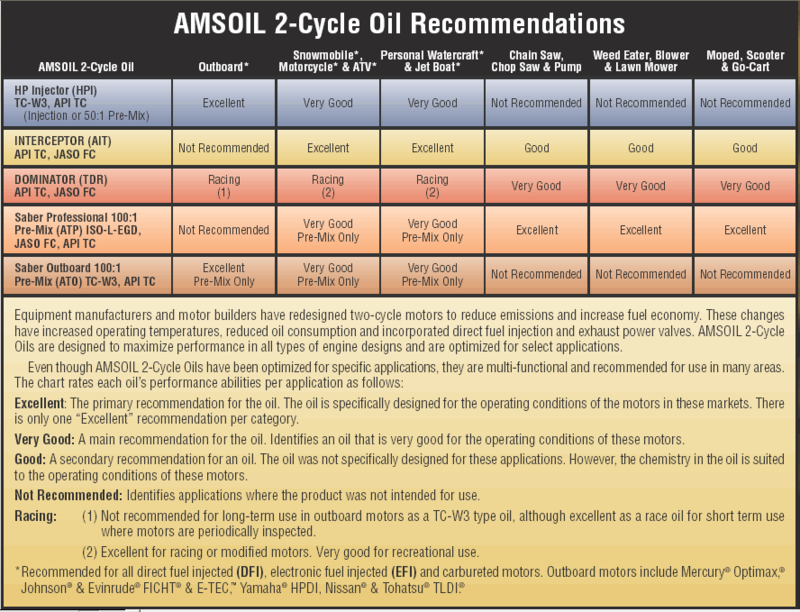 The AMSOIL Technical Services Department remains on the forefront of the latest industry developments to analyze equipment needs, identify technical issues, and provide accurate product recommendations for virtually any application. 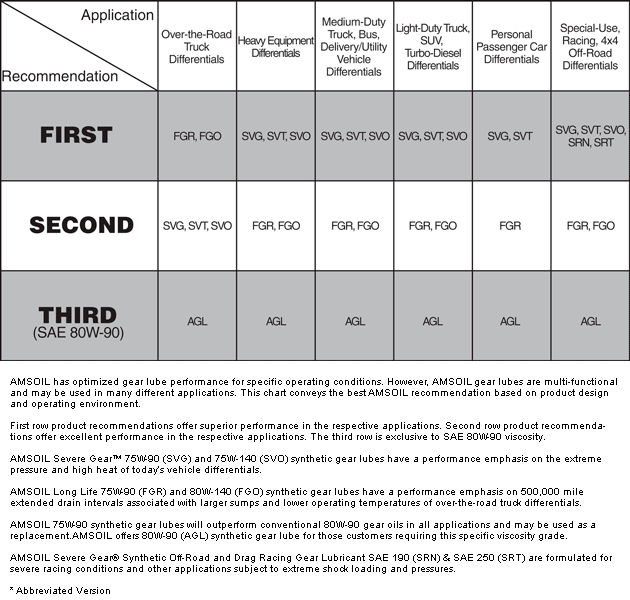 AMSOIL Product Change Interval Guide (G1490). Finding AMSOIL Product Recommendations (G2988).